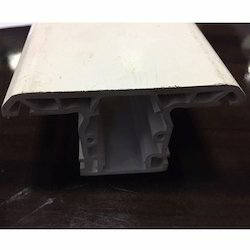 Our range of products include extruded plastic profile. Being the preferred choice in the industry, we are involved in manufacturing and exporting Extruded Plastic Profile. Acquired in multiple specifications, these durable and corrosion resistant profiles are widely appreciated and accepted in the market. Proffered profiles are provided in tamper proof packaging to prevent damages during transportation.